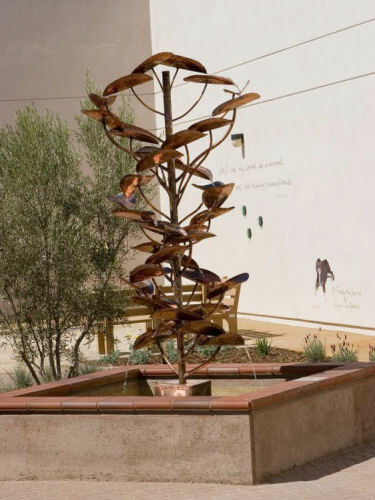 This is a large fountain that I designed and built for Arroyo Grande Hospital on the Central California coast. This fountain is the centerpiece of their healing courtyard. This was a situation where they had the basin in place and needed a fountain to match it. This project was a huge success. And this is what Montisa at Arroyo Grande Hospital says about their fountain. The fountain is beautiful, of course! 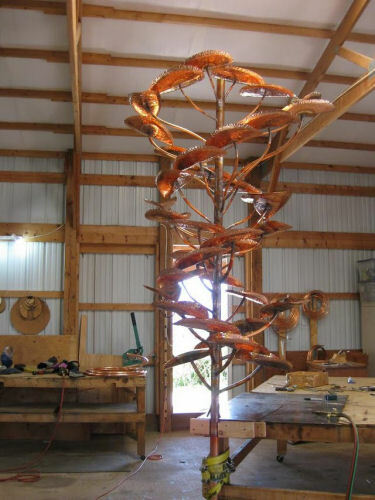 Here are some pictures that you are welcome to use and then email me in a few months when it patinas and I will send you some more. Everyone really loves it. Thank you for your wonderful craftsmanship."